Magnetic roadway system (MRS) is a concept for using linear synchronous motors (LSMs) embedded in road surfaces to move vehicles along within freight or specially designated vehicle corridors. MRS can be particularly beneficial for moving large trucks, as electrifying these heavy-duty vehicles would result in large reductions in petroleum consumption and toxic diesel emissions. Vehicles would use permanent magnets to react against the moving magnetic field generated by the LSM. MRS powered trucks may offer greater flexibility and lead to a broader range of applications by enabling "dual mode" operations combining LSM technology with other forms of propulsion. 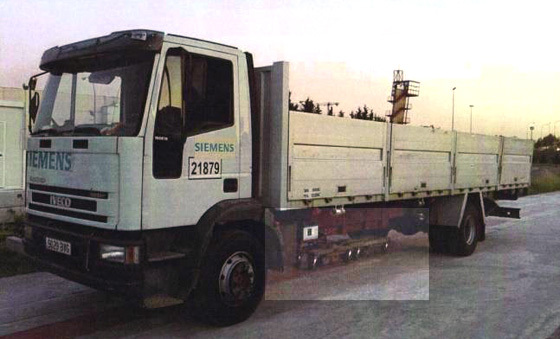 Diesel trucks retrofitted with permanent magnets could use their diesel engines on conventional roadways, then switch to electric operation using their magnets when operating on segments of road where LSMs are installed. Battery-electric trucks could use onboard batteries and electric drive motors on conventional roads, then switch to LSM-magnet propulsion on LSM-powered roads. 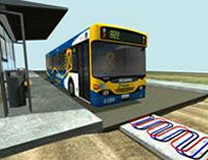 In the latter application, the LSM could also recharge the truck's electric batteries while moving the vehicle. This could greatly reduce the number of batteries required to achieve a given operating range, accelerating the adoption of battery-electric vehicles. Embedded in standard-size concrete blocks at factory. Modules installed into roadway and connected together. Generates moving magnetic field that can be regulated to control vehicle acceleration and speed. Retractable magnet array under chassis reacts against linear motor in roadway. With "dual-mode" operation, vehicle can use diesel engine or onboard electric power while on conventional roads. Electric vehicle batteries can be recharged while on LSM-powered road segments.